"Fluffy, fast, fun reading for fans of Clueless McGee and the Wimpy Kid." "Barnett and John are in perfect comic harmony." 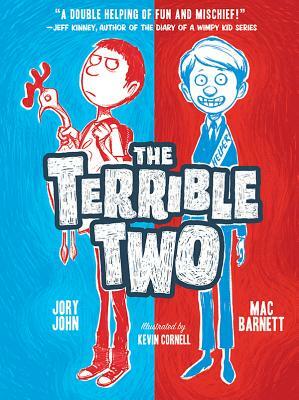 "Coauthors and friends Barnett and John have created a fast paced, laugh-out-loud novel sure to appeal to those who appreciate a good prank and have a sense of justice...a good candidate for reluctant readers and a natural next read for fans of Jeff Kinney’s 'Diary of a Wimpy Kid' series." "With plenty of humor, quirky characters, interspersed drolly-related cow factoids, and fantastical, over-the-top pranking, this entertaining, enjoyable read will especially appeal to Wimpy Kid aficionados." "Well-paced for pleasure reading, this lively start to a new series provides great insight into social dynamics—as well as prank planning and execution!"